For connecting standard MIDI IN and OUT to USB. 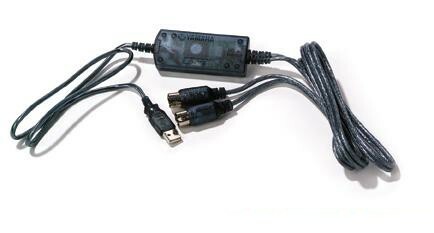 One end connects to MIDI IN and OUT jacks, the other end is USB to your computer. Total cable length about 6 feet. Check out the MIDI Section in Alan Parsons' Art & Science Of Sound Recording series. A stream will cost you just 99¢.